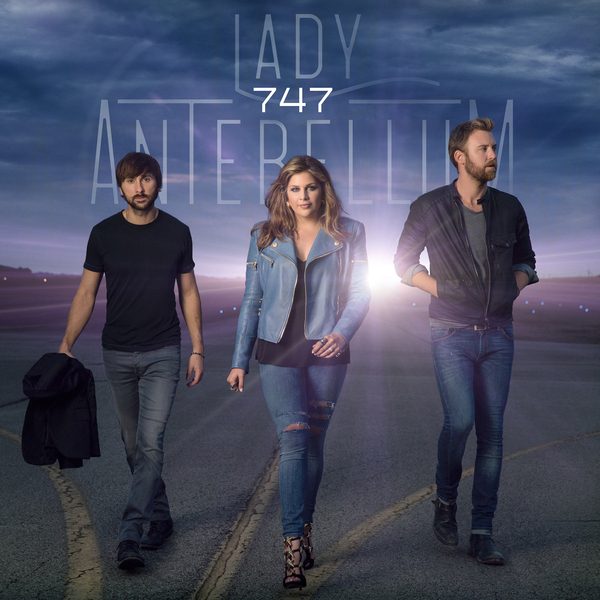 747 is the sixth studio album from country group Lady Antebellum. The album was released in the US on 30th September and was released in the UK on 6th October - ahead of their album release show in London on 14th October. The album includes eleven tracks with the deluxe edition featuring a further three tracks. Lead single Bartender has a feel that is reminiscent of Downtown from the group's last album with a heavier base line and rockier overall sound. The electric guitar and drum led production has a good pace that makes for a catchy melody. This is already a popular track between both fans and press and I am sure it will continue to be so. Ahead of their UK album release show next week the trio have released Lie With Me as their new UK single. their last having been 2011's Just A Kiss. Undoubtedly more upbeat than Just A Kiss, Lie With Me is led by a solid drum line with acoustic and electric guitar accompaniment. The changes of pace between the verses and chorus (including the short instrumental breakdown with just Charles' vocals, drums and a barely audible electric guitar part) work very well and the production is at just the right level. The acoustic guitar and electric guitar lines in the chorus make it very catchy and I am interested to see how this is received in the UK. On first listening to Long Stretch Of Love I found myself thinking it would work well as a Little Big Town song and was actually quite surprised to hear it open the album. Whilst the song as a whole does work the chorus feels a little overpowering as the rock influenced production is very heavy and the vocals, specifically Hillary's sound a little forced during the chorus. Freestyle unfortunately feels a little messy. Set to be the trio's second single from this album the overall production is firmly upbeat, with the electric guitar providing the catchiest hook at various points however it feels like there are far too many lyrics to squeeze in during the verses which lessens the appeal of the track in my opinion. The pace of the track also feels a little too much by the end of the track, possibly due to the heavy production throughout. There were three songs that really stood out for me whilst listening to the album, Down South, One Great Mystery and Damn You Seventeen. Down South is definitely my favourite of the three, With the acoustic guitar and drums working well together to form the base of the production, the vocals also feel comfortable throughout. Lyrics such as "if I'm gonna fly I'm fly down south" and "south is where my mama lives, where my little piece of heaven is" tell that 'home is where the heart is', something I'm sure many listeners will relate too. One Great Mystery is the one true ballad on the album. I have always said Lady Antebellum deliver really strong ballads and they are true to form here. The lyrics are some of the best on the album with lines such as "I'll close my eyes and drift off into the blue, and if I go first I will wait for you" and "maybe there's some other life out there, but as long as you're here with me baby I don't really care" and Charles and Hillary deliver them with heartfelt emotion. I honestly hope Lady Antebellum continue to include ballads within their albums, really lovely track. Damn You Seventeen is a reminiscent track however it has a sense of anger that adds another dynamic to it. Hillary's naturally sweet sounding voice works well with the production (and it is nice to hear Dave sing a short hook!). It is the chorus of the track that really drew me in, the lyrics flow well and Hillary and Charles' voices blend seamlessly. The overall bitter-sweet feeling from lyrics such as "love pulled out like a limo onto the highway after the prom" is a clever decision that, as aforementioned, adds another dynamic to the track. This album definitely feels like a development for Lady Antebellum, with a rockier sound that builds upon the roots feel of their self titled debut and their previous release Golden. Definitely worth a listen! 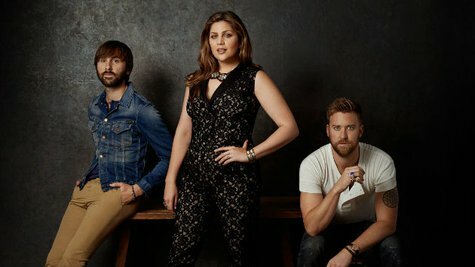 With the launch of Country To Country 2015 being held a few hours before the trio's UK album release show (and in the same venue) and Lady Antebellum promising some 'big news' at their show it seems almost certain that we will see them as part of the line up for next year's show. After this album, I'd be thrilled.